North Carolina Siamese Rescue View other Siamese Cats for adoption. Meet Ziggy. 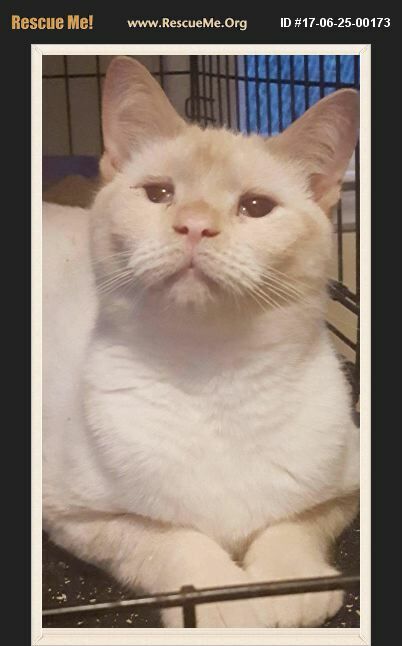 He's a sweet, mellow flame point, somewhat cross eyed guy. He is super friendly, sweet kitty. He loves kitty towers, bird toy and plastic springs. He loves to cuddle and be pet. We offer a 2 wk trial for all of our kitties to make sure your home is a good fit. Look up Snow Camp rescue to see all of our kitties. We have several not yet posted. Tell us what your looking for, chances are, we have the kitty for you. We also have 6 to 7 on display at Pet Smart in Charlotte, 5401 S Boulevard Ave., 7 days a week.